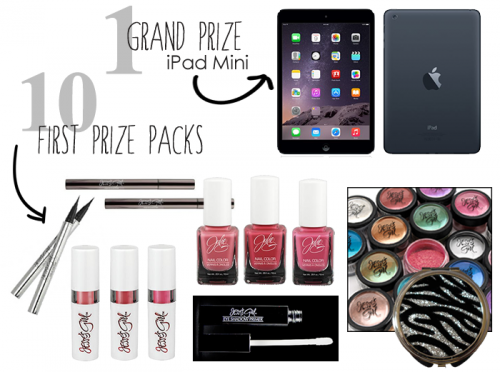 Kat Stays Polished | Beauty Blog with a Dash of Life: HUGE Jesse's Girl Giveaway!!!! Hi friends! I'm going to just cut to the chase! Jesse's Girl Cosmetics is hosting an AMAZING giveaway with so many prizes!!! Look what you can win! Fabulous graphic made by Leslie of workplaypolish! All you need to do is enter via the Rafflecopter below! Contest entries are open through 11:59pm Eastern (New York) time on Tuesday, October 21 2014. This giveaway is open to residents in USA, Canada, Mexico, and territories. Good luck!! !